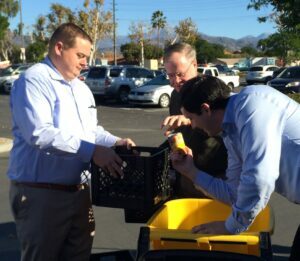 Suburban Water Systems employees teamed up with Shepherd’s Pantry located in Glendora to provide food to families in need in the communities we serve. Shepherds Pantry provides emergency food, clothing, resource assistance and educational programs to families in need during times of crisis. They provide the necessary tools and resources to help families become self-sufficient. This year Suburban employees donated over 250 food items to Shepherd’s Pantry and we hope to continue this new relationship in the future.